Finland, Finland, Finland, the country where I quite want to be, your mountains so lofty, your development studios dedicated to creating more mobile games for The Sims franchise so fresh and new. 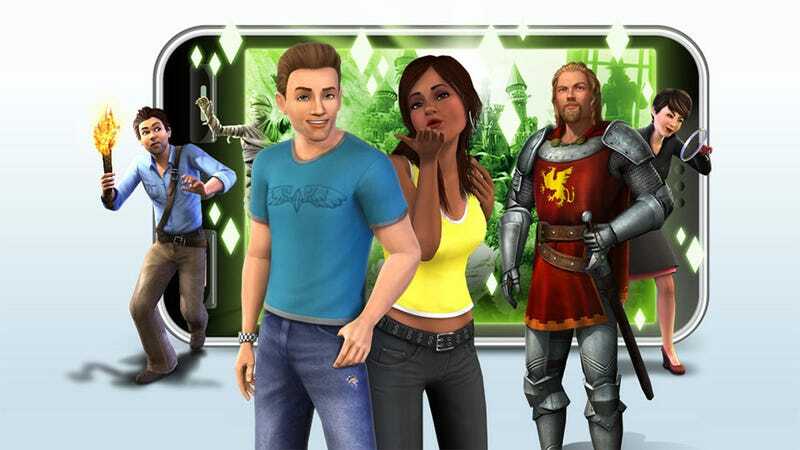 EA Maxis has opened Maxis Helsinki to focus on making virtual people for us to torture on our tablets and phones. There can never be enough of The Sims, and the more places we can access and play with those tiny digital representations of our innermost fears and desires the better. EA Maxis agrees, so it's off to Helsinki to make more games. They might branch off into other projects as well, but it would break my heart. "Mobile is a strategic focus for the company and to Maxis as a label. We feel that the talent base in Finland will be a strong complement to our existing mobile expertise based around the world," said Lucy Bradshaw, General Manager of Maxis via official announcement. "The Sims franchise continues to find strong audiences across all platforms and the team we are building in Helsinki will be tasked to maintain our tradition of being some of the most creative game developers on any platform. Welcome to the team." Yes, welcome to the team! Now let's drop the pretense and make me an app that lets me actually torture a Sim. Enough of this boxing them in business, I want waterboarding.